Discover the freedom of the open road with Southwest USA’s Best Trips. We’ve selected 32 amazing road trips through Arizona, New Mexico, Texas, Utah, Colorado, and Nevada, from one-day escapes to ten day adventures, and packed them full of expert advice and inspirational suggestions. Whether exploring your own backyard or somewhere new, discover the freedom of the open road with Lonely Planet’s Southwest USA’s Best Trips. 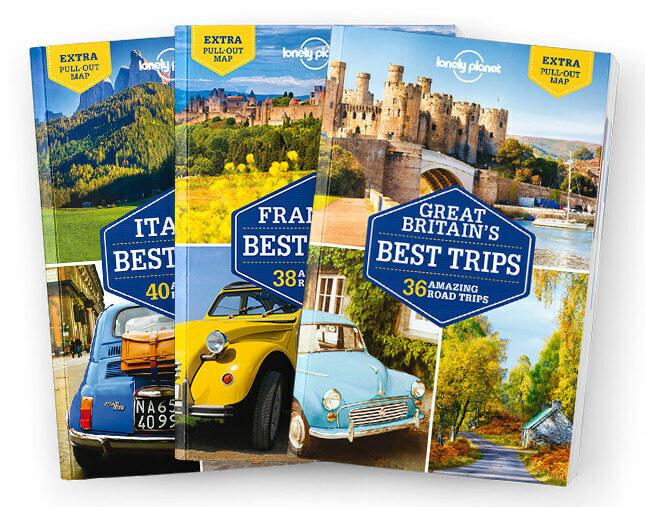 Featuring 32 amazing road trips, from 2-day escapes to 2-week adventures, you can ‘get your kitsch’ on the iconic Mother Road, Route 66, or wind your way through the fantastic Canyon Voyage, all with your trusted travel companion. Jump in the car, turn up the tunes, and hit the road!